This is one of the most conspicuous herps that I see on my visits to southern Illinois. At night they are often out and about and seen crossing roads. In the daytime I’ve encountered them in a range of habitats, including deep in the woods and high up in limestone bluffs. 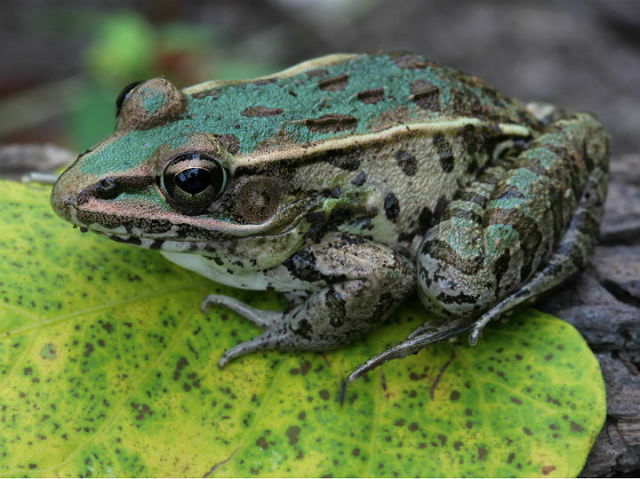 It is also one of the most variable amphibians in the area in regards to appearance. 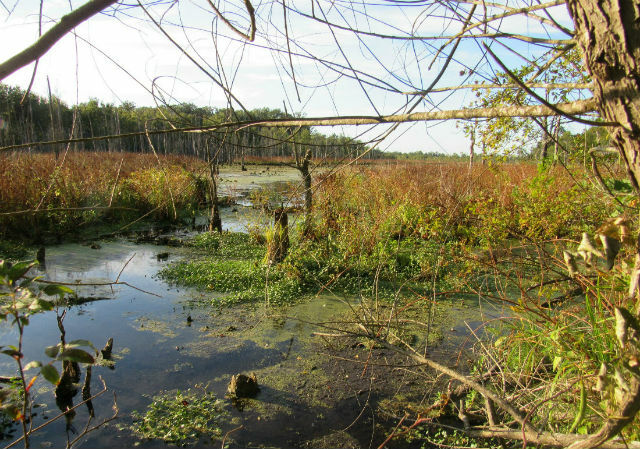 It can be green or brown in color with varying amounts of spots – and sometimes no spots at all. 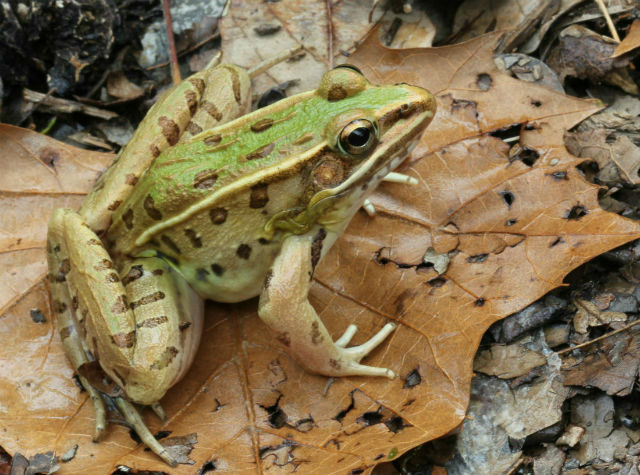 Although Southern Leopard Frogs are often found close to water, they are more terrestrial than other frogs in their genus and can stray far from water. They are active both by day and night and can be seen in large numbers on rainy nights. They are powerful, agile jumpers and may flee away from water rather than toward it. When being pursued, they leap in haphazard, zigzag patterns that make they very difficult to successfully pursue and capture. 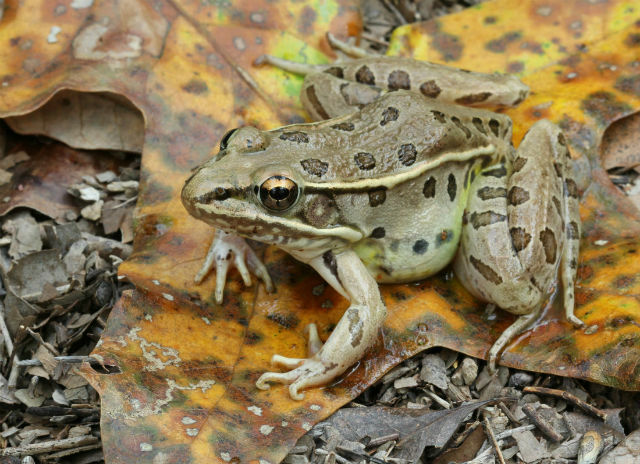 Southern Leopard Frogs search for food mainly on land. Insects make up the majority of their diet, but they also feed on spiders, pillbugs and worms. 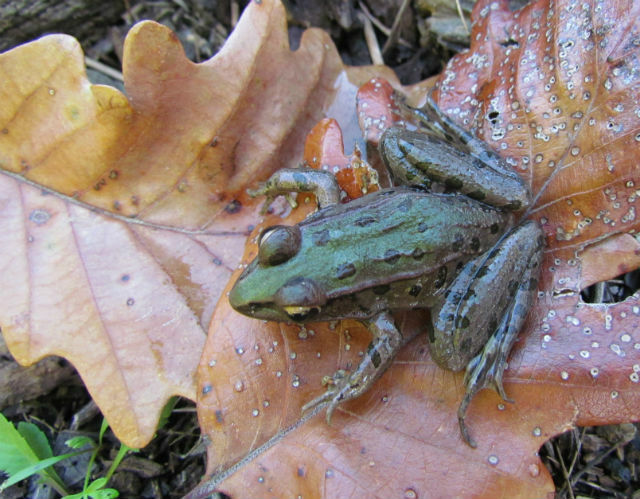 Despite is being quite common, I always enjoy coming across this beautiful amphibian – no two are alike! 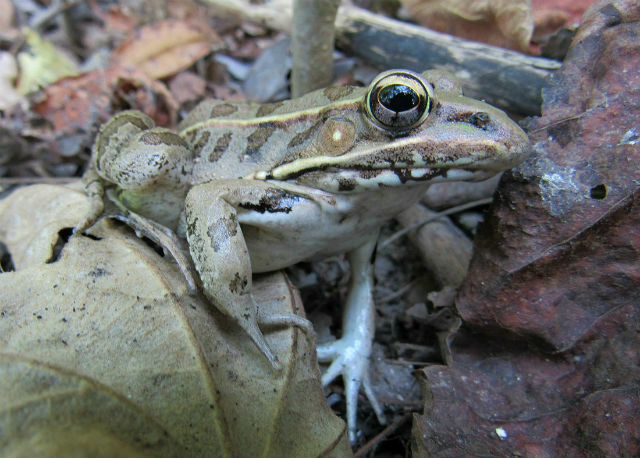 This entry was posted in Frogs & Toads and tagged Southern Leopard Frog by tspuckler. Bookmark the permalink.